Home > Datas > 200 CroreUse Facebook Now..! 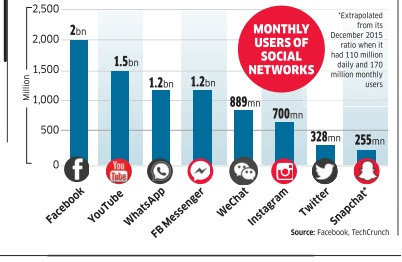 Facebook says it has 200 crore (two billion) monthly active users now - meaning more than a quarter of the world's population is on the giant social network. Founded in 2004, the social media behemoth hit the billionuser mark 5 years ago..